With the arrival of vampires, shifters and angels, witches have taken the background. 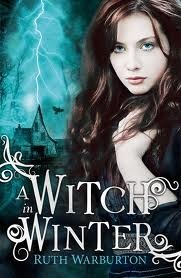 Luckily, 2012 brings us some very interesting young-adult debuts featuring witches, including Witch in Winter. What I liked about Witch in Winter is the main character Anna. She is believable and a nice girl. She isn’t the popular kind of girl, but not the lonely emo kid either. It was nice to have a main character that has a nice group of friends. Her love interest Seth is kind of standard at the begin of the story, the typical popular bad boy. He does change over the course of the novel, and getting to know him was enjoyable. Watching their romance was a bit of a rocky road for me. At times I liked it, at times I didn’t. At the end I wasn’t that sure if Seth is the right guy for Anna. I met a character that I think might be a better match for her as she matures throughout the story. I’m looking forward to see how their romance continues in the next book. Another thing I liked in Witch in Winter is the old-school magic system. There are spells and rituals, different powers, clans and everything. And their magic isn’t just for little stuff, but they can do some pretty impressive stuff with it. Witch in Winter contains an epic magic battle that I enjoyed a lot. 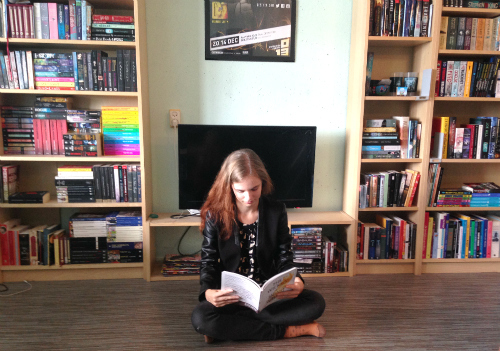 I’m looking forward to read more about the different kinds of power, and what makes Anna so special. Witch in Winter is a very enjoyable paranormal read featuring witches, but it left me wanting more. I want more details, more magic, more background. Even though some things in the book are a little bit off, it is a great debut book and I’m definitely looking forward to the sequel, Witch in Love.